The 126 graduates sat through a 3 hour-long ceremony listening to their classmatesâ pan and aural renditions and soaking up all that the featured speakers had to say. Headmistress Andrea Bowmanâs speech was met with much applause from both the graduates and past students alike. 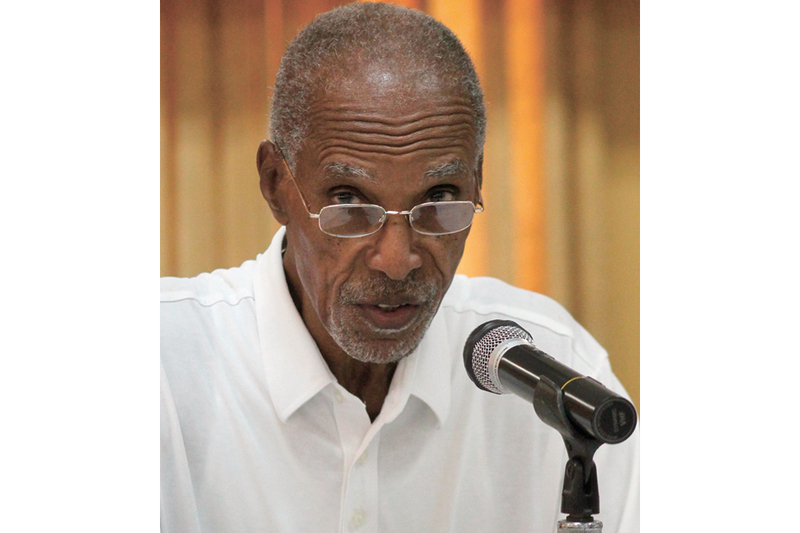 She implored parents not to undermine the values that the GHS tries to instill in the students, to speak directly to the teachers if there were rules that they did not understand, instead of âwaging guerilla warfare against the schoolâ. She asked the graduates to be proud of the fact that they are a part of the GHS family, and to never be afraid to be counted among the best. Louise Bowman, a graduate of the class of 1986 gave the feature address. Bowman, a software developer for the Microsoft Corporation in Seattle, Washington gave a very moving and powerful speech. âFor each of you graduating today, there is someone who did not graduate, will not graduate and cannot graduateâ. She asked that the graduates choose generosity over acquisition, passion over apathy and excellence over mediocrity. Bowman urged them all to become decent, kind and industrious individuals, and she pointed out that whilst this world they have inherited is becoming increasingly violent and materialistic it is up to them to change it instead of becoming a part of the landscape. For this, she said, is a world in which everything is possible. Raianna Thomas left a remarkable impression on her alma mater, not only was she this yearâs head girl, and student of the year, but she took away many awards, not only for academic excellence but also for leadership. In her valedictory speech she urged her fellow graduates to pick a star and follow it, she added that it didnât matter the amount of money in their pockets or the family that they came from, but only their will to succeed. During the ceremony a special award was given to Dr Roslyn Ambrose for years of dedicated service to the school. 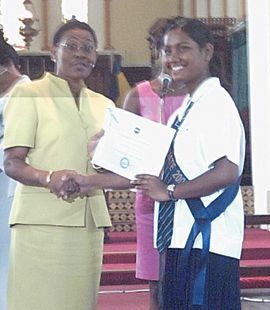 The GHS graduation took place at the St. Georgeâs Cathedral in Kingstown, on the 5th of July, which just happened to be the birthday of the Governor General. The graduates and guests all joined together (in song) to wish him a happy birthday.